The map of the region covers about 21x17 km area. The first includes panoramas' standpoints, angles and landmarks. 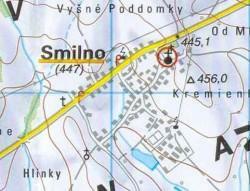 The second is a detail showing "geography" of Smilno. Map 1 size is almost 500k, so please, be patient when downloading.